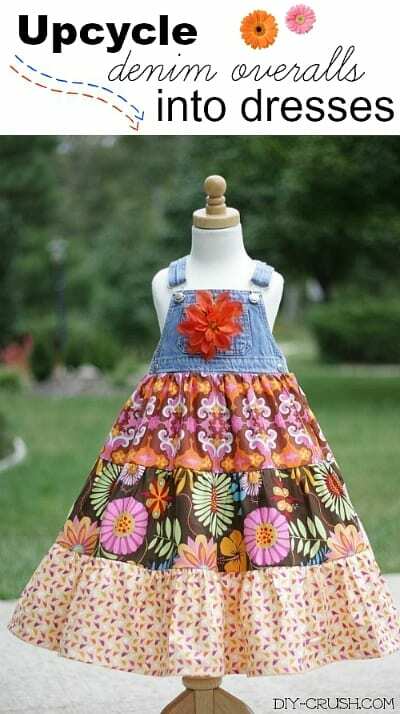 This pattern teaches you How To Make A Twirl Dress From Denim Overalls. You can also use this technique for most of your other sewing projects like skirts, peasant dresses, t-shirt dresses etc. This tutorial gives you step by step info on how to make the layers and sew them on. I provide you a sizing guide for skirt and dress lengths so you may achieve this look by simply doing your own math.